Find Blake spinning tracks like those he shared on the podcast today each Thursday night at Ten Ten Room in downtown Sacramento. Calling all artists! 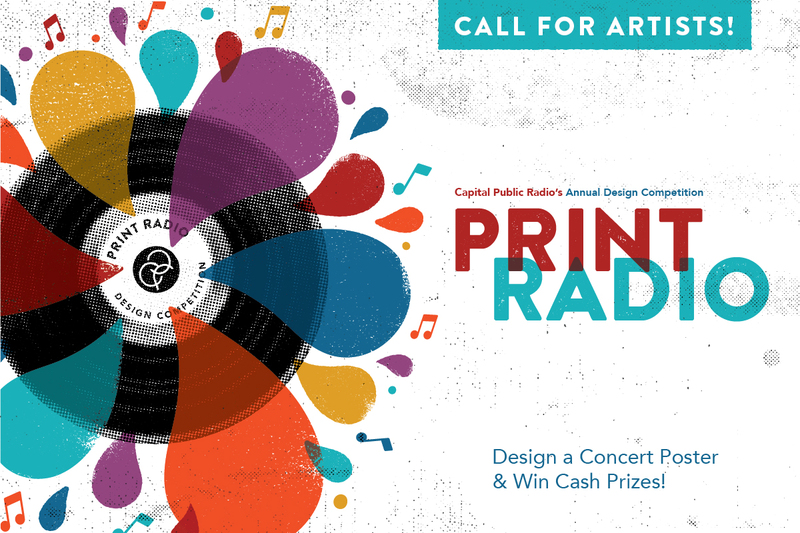 This year's Print Radio contest focuses on music discovery from CapRadio's Hey, Listen! and the NPR Tiny Desk. We're asking artists and designers to submit poster art that incorporates the ideas of “music discovery,” “CapRadio” and “Tiny Desk.” Selected pieces will go on display at CapRadio in the spring, finalists will be celebrated at an announcement party at Canon Restaurant, and winning designs will be printed on concert swag for the second annual Tiny Desk Sacramento concert in June! Find the full details here.